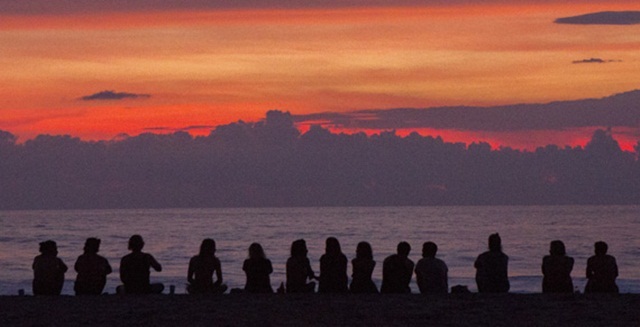 Plus a book launch, baking class, and more. Prepare to bust out all the songs you sing when no one's looking and you're lathering up in the shower! 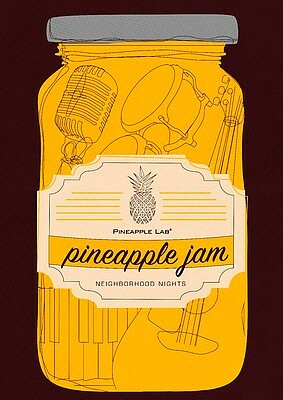 Pineapple Lab is throwing the second acoustic Neighborhood Nights: The Pineapple Jam, happening on September 4, 8 p.m. If you have ever dreamt of one day being Lea Salonga, Bob Marley, or Barbra Streisand, then this is your chance! 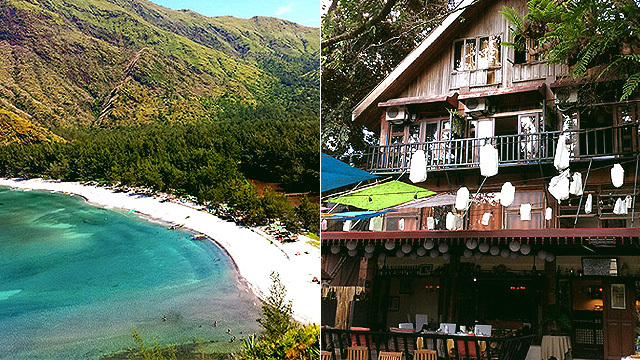 There's a room full of good vibes and a bar full of booze waiting for you! 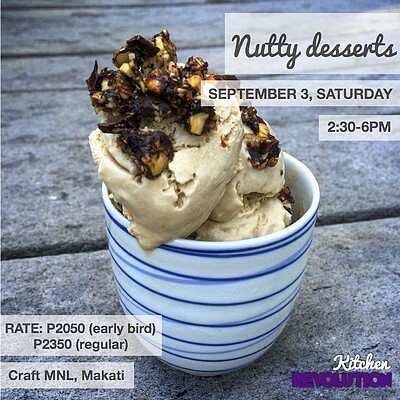 Go nuts over Kitchen Revolution's new Nutty Desserts class, happening on September 3, 2:30 p.m., at the Craft MNL studio. Discover how the complex, toasted, crunchy, and creamy flavors of nuts can enhance desserts. On the menu are chocolate nut butter silk pie, avocado lime cheesecake with almond coconut crust, cinnamon walnut crumb cake, and sea salt candied hazelnuts over coconut cashew ice cream. The workshop fee is P2,350. To sign up, go to Kitchen Revolution's website. It's all grand and it's all green at The Gallery at Greenbelt 5! 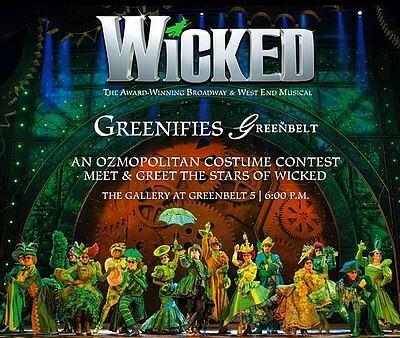 Catch Wicked Greenifies Greenbelt on September 2, 6 p.m., and experience a night of Ozian fun with the stars of Wicked. Get a sneak peak of some of the songs from the show, too! Come in your best Ozmopolitan or Wicked-inspired costumes and you could be the lucky winner of the most swankified prize in town: "The Wicked Experience," which includes an overnight stay, two tickets to the Wicked Manila Gala Night, and two passes to the Wicked afterparty! Entrance is free of charge. For more information, visit Wicked Manila's Facebook page. 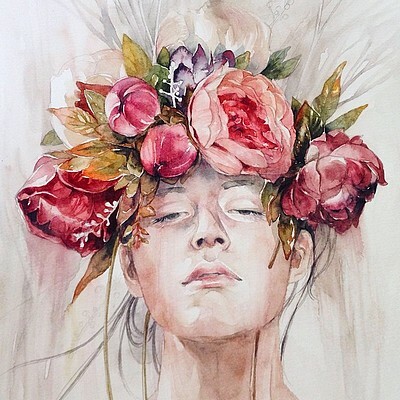 For artists who want to go beyond admiration for botanicals and florals and who are eager to make them come alive on paper through the use of watercolor, learn to hone your skills by joining Ayala Museum's The Art Room Workshop: Florals in Watercolor, happening on September 3, 9 a.m., led by Valerie Chua. Know all the basics needed to create stunning pieces of art with your own hands. The workshop fee is P4,000. For inquiries or reservations, call 759-8288 local 22 or 35, or e-mail education@ayalamuseum.org. 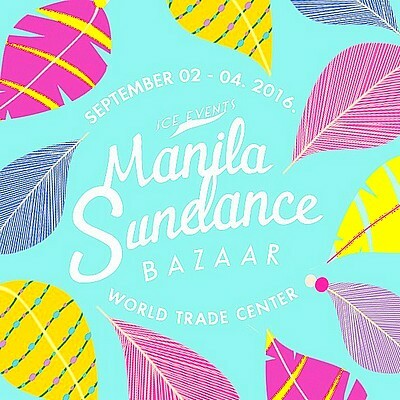 Get your wallets ready for the Manila Sundance Bazaar, happening from September 2 to 4 at the World Trade Center. 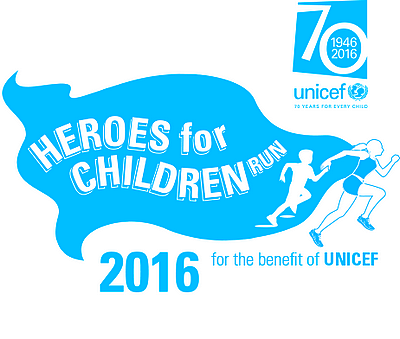 It's going to be another epic run that's full of shopping discounts and promos. Enjoy a new array of deals and sales from your favorite online stores, yummy food choices, and other treats, like free donuts, massages, gym memberships, popcorn, and so much more! Newport Mall launches the country’s first Matcha Festival, which will run from September 1 to 30. The fest features matcha-infused dishes, served by Resorts World Manila signature restaurants and food outlets, like UCC Café, TWG Tea, Ichiba Japanese Market, and more. Guests will also be given the visual treat of the Matcha Art Exhibit, which features masterpieces that are made with matcha. In case you want to take home local and imported green tea merchandise, a Matcha Market will also offer confections, treats, and more. For more information, go to Resorts World Manila's website. 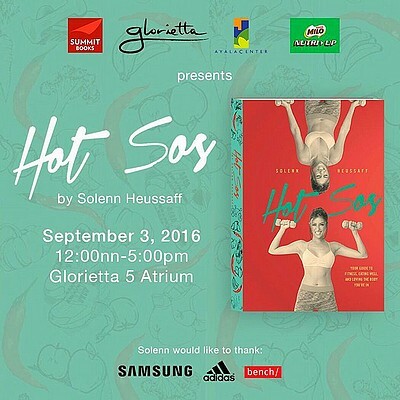 Join Solenn Heussaff for the Hot Sos Book Launch on September 3, 12 p.m., at the Glorietta 5 Atrium. In this latest publication from Summit Books, Solenn shares tips on starting your journey to fitness, eating well, healthy recipes, loving the body you're in and more! Get your sports gear and mats ready because she'll be leading a fun workout sesh before the book signing. Don't know a thing about watercolor painting? Good. Unleash your creative potential at Kapitolyo 101's Watercolor Painting 101 workshop, hapening on September 3, 1:30 p.m.! 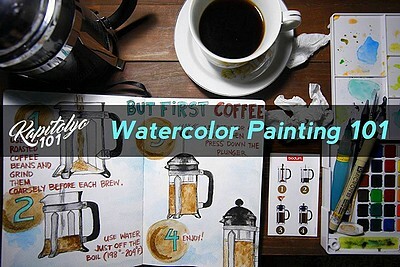 Learn about the absolute basics, like the strokes, color theory, mixing watercolors, and other watercolor techniques. 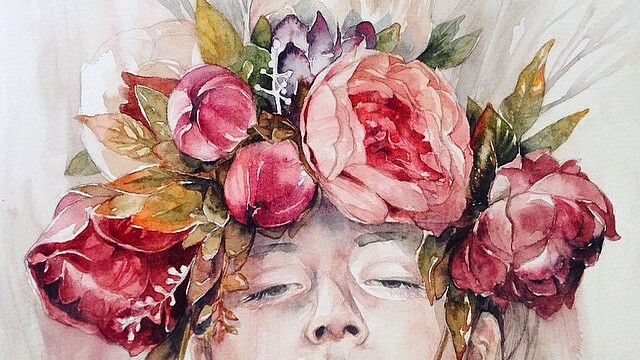 Dabble into painting botanicals, florals, and galaxies, too! The workshop fee is P1,990. 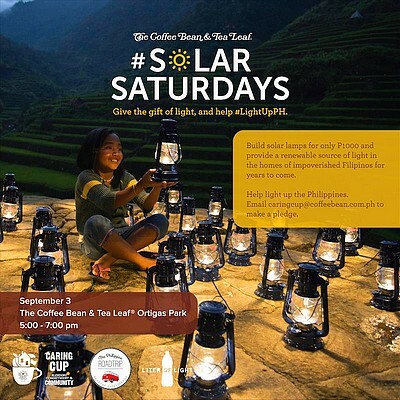 Join Coffee Bean and Tea Leaf for Solar Saturdays, happening on September 3, 5 p.m., at the Coffee Bean and Tea Leaf Ortigas Park. Help pave the way to a brighter Philippines and get to experience building solar powered lamps for Filipino communities that struggle without electricity in their homes. For just P1,000, build your own solar lamp and be the light by giving the gift of light. All lamps collected at the end of the campaign will be brought to families living in off-grid areas around the Philippines by The Philippine Roadtrip. To make a pledge, e-mail caringcup@coffeebean.com.ph.